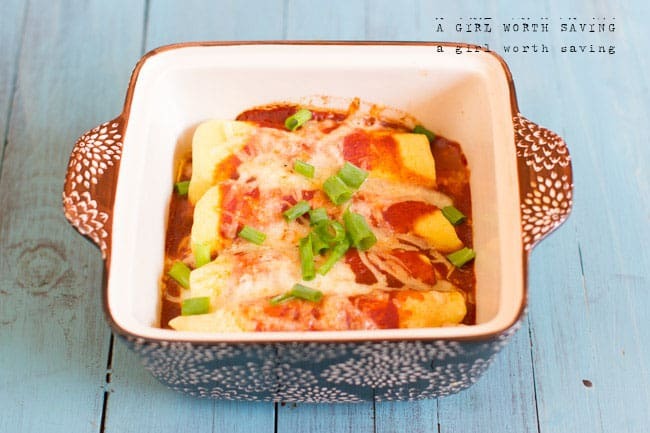 After I created my grain-free wrap recipe, all I could think about was making enchiladas. I spent a large portion of my years in Tucson and when my sisters and I went out to eat, I would always get enchiladas. First, this is a simple recipe and I highly recommend using left-over chicken or beef. I spend enough time planning out meals and making so much from scratch that anytime I can skip some steps, I will take it. The paleo wraps take the longest amount of time to make but oh mama, I was in grain free enchiladas heaven when I was eating this dish. I’m going to admit that I’ve made this two times this week. Yes, two, and I am contemplating a third as a I write this. In a skillet combine the chicken, onion, garlic, salt and pepper and coconut oil and cook until the chicken is browned and done. In an 8" x 8" baking dish, pour enough sauce to cover the bottom, roughly 1 cup. Roll the wrap around the filling and place with the seam side down in the baking dish. 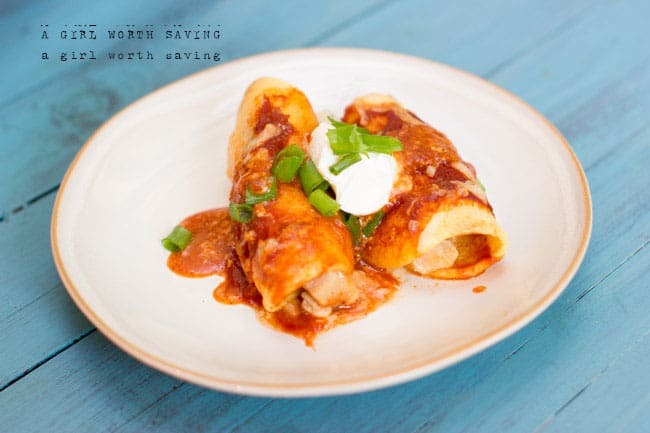 When the wraps are all in the pan, cover the wraps with the remaining enchiladas sauce. Sprinkle on more cheese and bake at 350 degrees for 25 minutes. Thank you Sara 🙂 I got the dish from Marshalls! 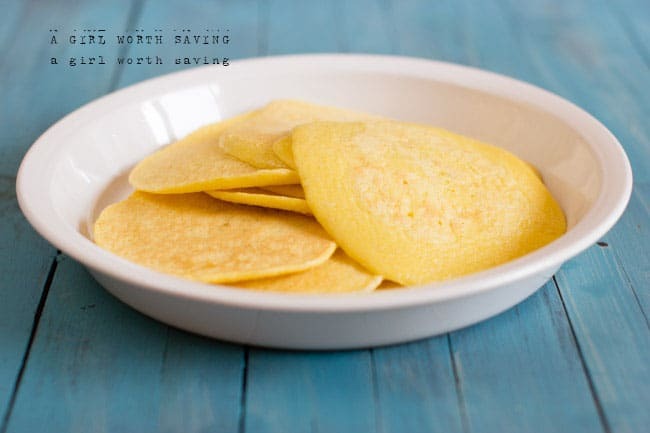 I’m always looking for ways to make my favorite foods paleo (or at least semi). Is the El Pato Red Chile Sauce readily available locally? I got it from Fred Meyer so you should be able to find something similar. It was in the Mexican food section and it had no weird ingredients in it! 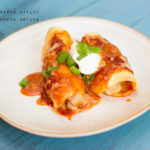 I LOVE Enchiladas and these look so amazing!!! That looks delicious!! I love anything Mexican! Yum looks great how many Paleo wraps does one recipe make? Thank you! It makes 5 to 6 wraps Michelle. I’ve been thinking about making enchiladas for a while. Thanks for sharing. I will make this tonight.